I am going to be brutally honest. I have nothing to hide or be ashamed of. 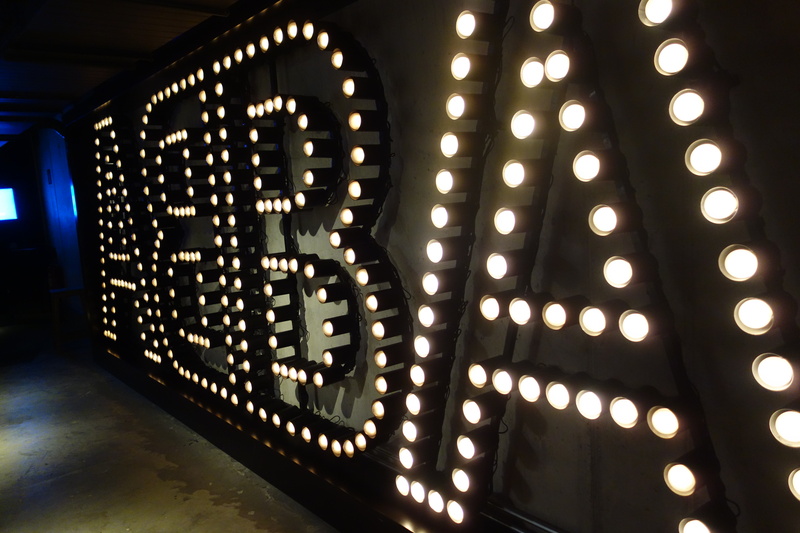 The main reason I went to Stockholm was to visit Abba – The Museum (and visit friends NOT called Benny or Bjorn) and pay homage to the supergroup that had a significant impact on my childhood, and yes, my adulthood. 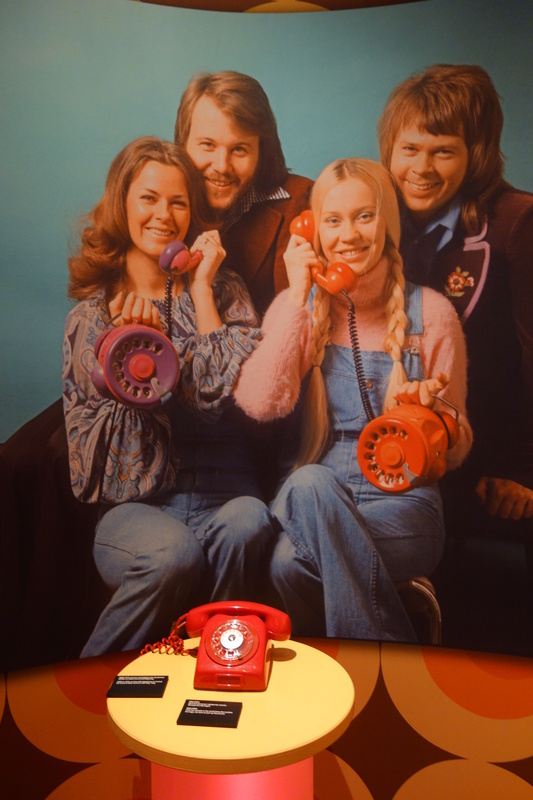 Australia was the first country outside of Sweden to really embrace ABBA and all its campness. 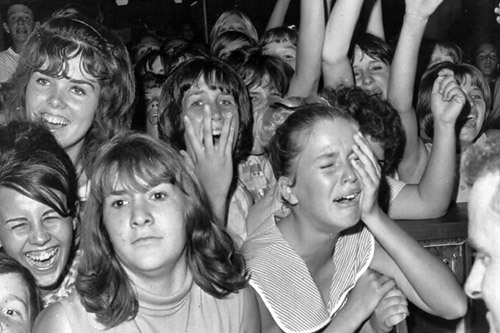 ‘Australia was the first country that took ABBA to heart and we never forgot about that. We always felt a lot of love from audiences there,’’ Bjorn Ulvaeus once said. 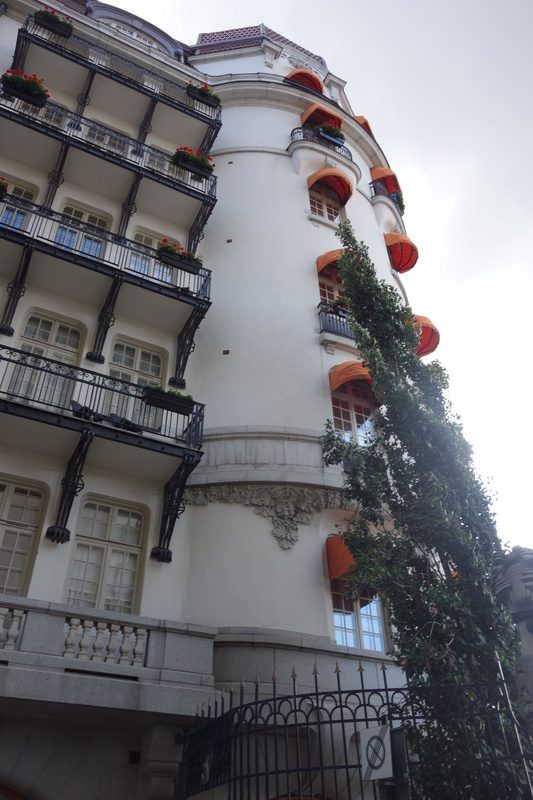 This was my second visit to Sweden. A few years ago I attended a conference in Gothenburg. The organizers had invited the 500 or so journalists, writers and media professionals to a Midsummer Party in the city’s botanical gardens, then made the mistake of giving us booze. There may have been an incident where I led a chant of “We Want ABBA” until the inevitable ABBA tribute act took the stage in white jumpsuits. 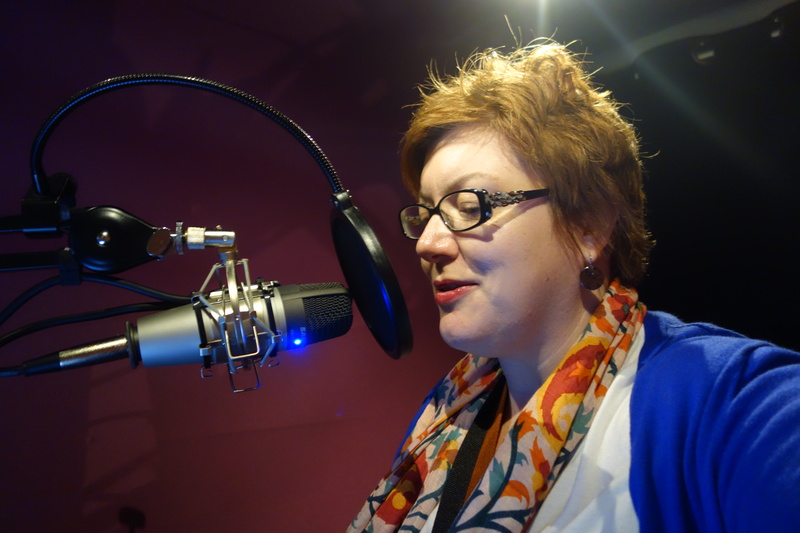 A rather bemused Swedish editor turned to me as I was belting out the 12 inch version of “Waterloo” and said: “What is it about you Australians and ABBA?”. I couldn’t answer. It was obvious. His ignorance offended me. 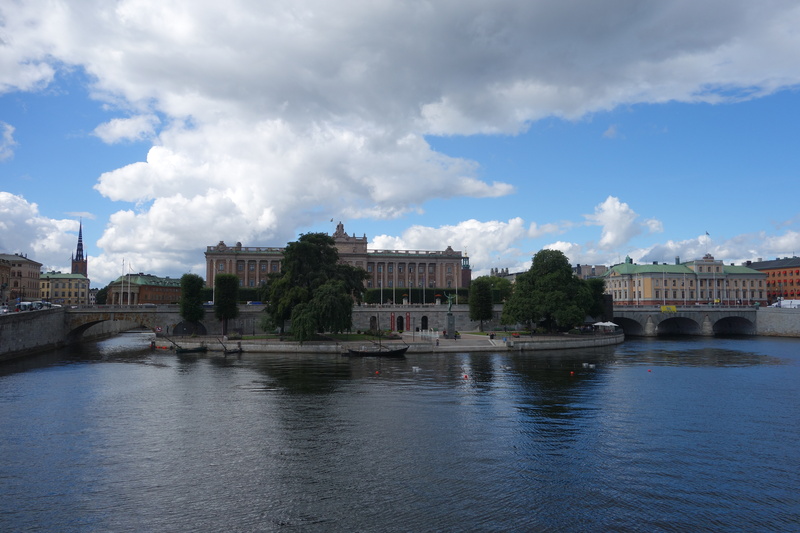 So, within hours of landing in Stockholm this month, I found myself lining up to enter the museum, sharing the lining with Australians, some confused Americans and a lost Korean family. 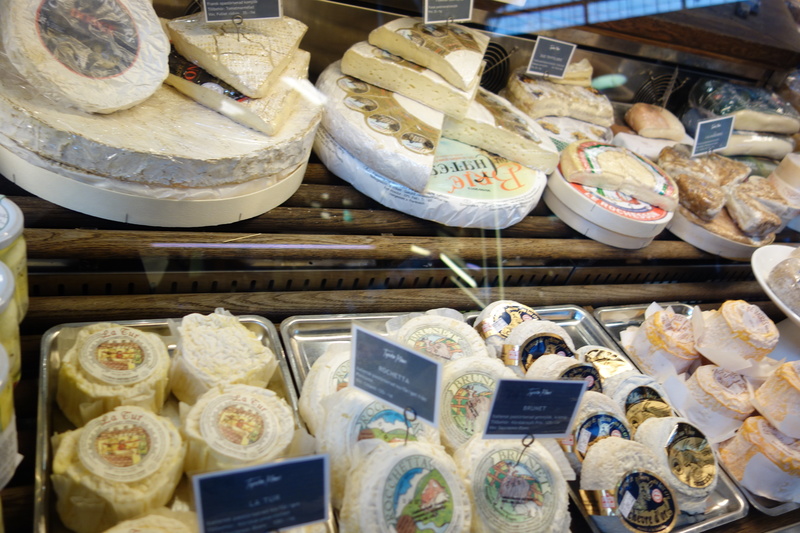 But there is some awesome food to be talked about…and cheese. 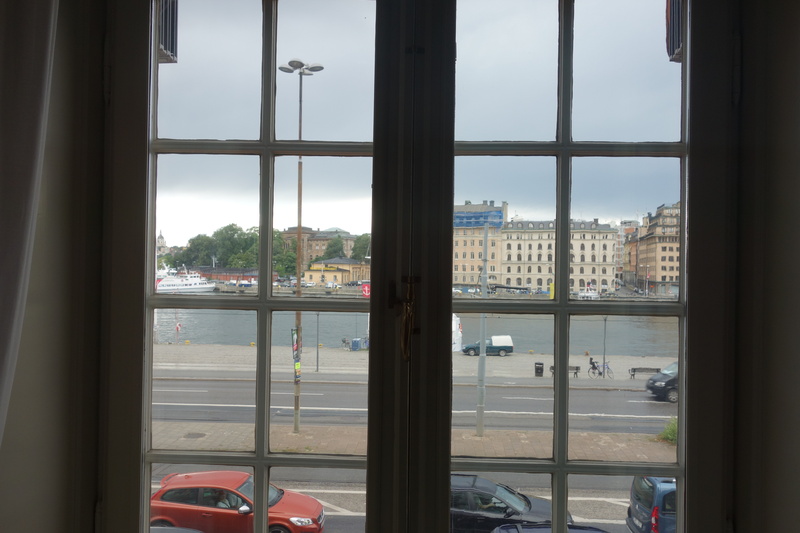 Stockholm is a truly beautiful city and I was lucky to be staying at Diplomat Hotel and waking up to this view everyday. 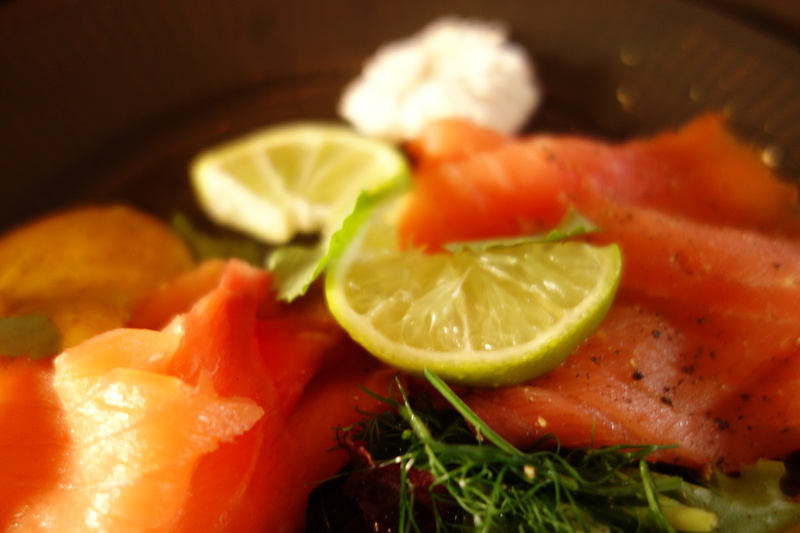 I’m a fan of Swedish food and always have been. 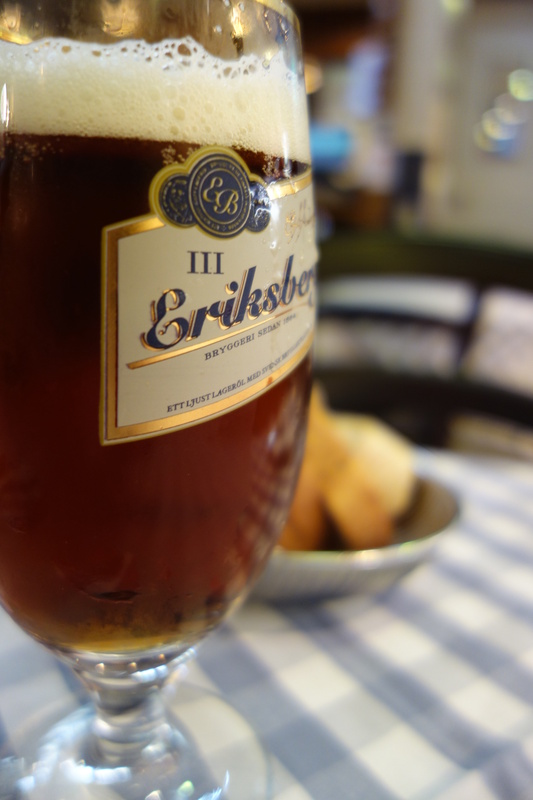 I had some awesome culinary moments in Stockholm, starting with one of the country’s favorite dishes – Toast Skagan. 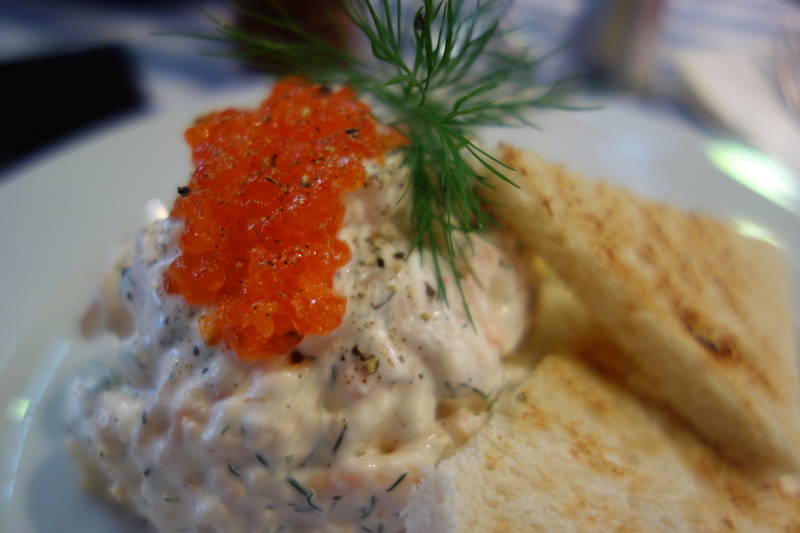 Named for a fishing port at the northern tip of Denmark, in Sweden Toast Skagen is an appetizer that means “party.” It’s basically prawns on toast with some lush extras like salmon roe and creme fraiche. 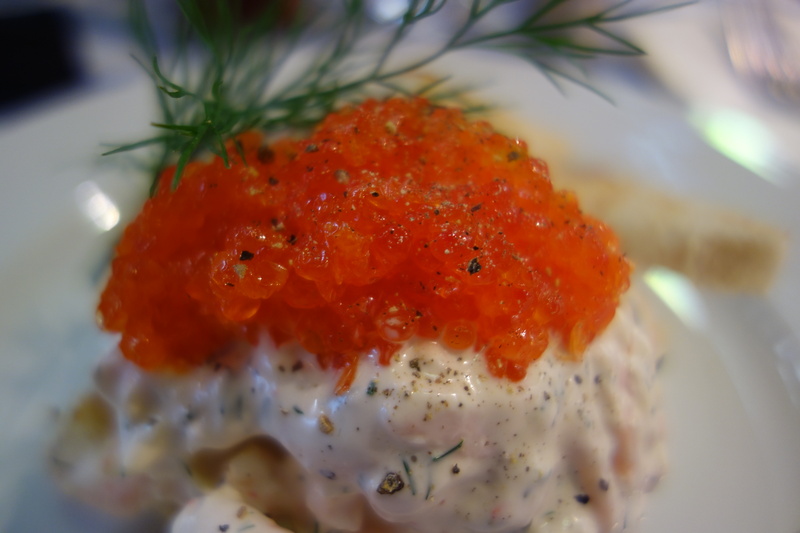 This version from the Ostermalm Food Hall helped me recover from my ABBA experience. the food hall has a range of small takeaway and eat in outlets as well as selling fresh seafood, cheese and other items. Another day I tried the famous Swedish Meatballs. I have to be careful here, my mum (NOT Swedish), has been cooking these since I was a child. For me, they are comfort food and she makes them each time I return to Sydney for vacation. These were great. But not as good as Mum’s. 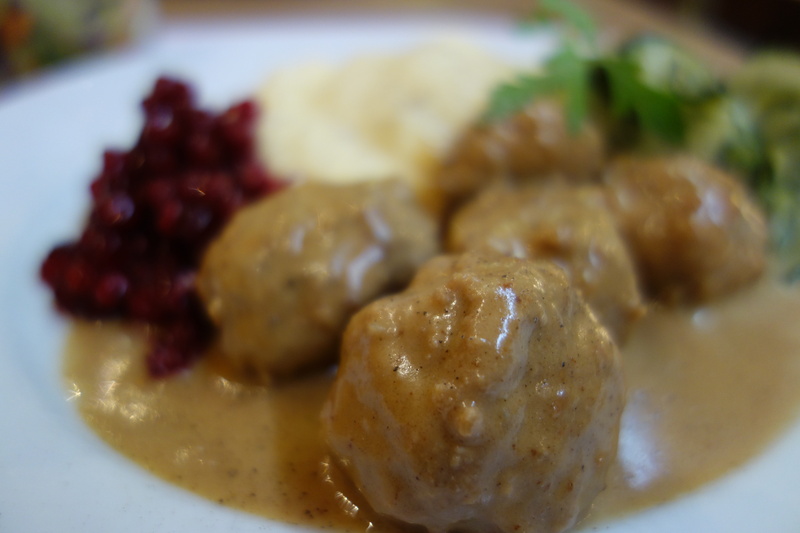 In Sweden, köttbullar (meatballs) are made with ground beef or a mix of ground beef, pork and sometimes veal, sometimes including breadcrumbs soaked in milk, finely chopped (fried) onions, some broth and often including cream. 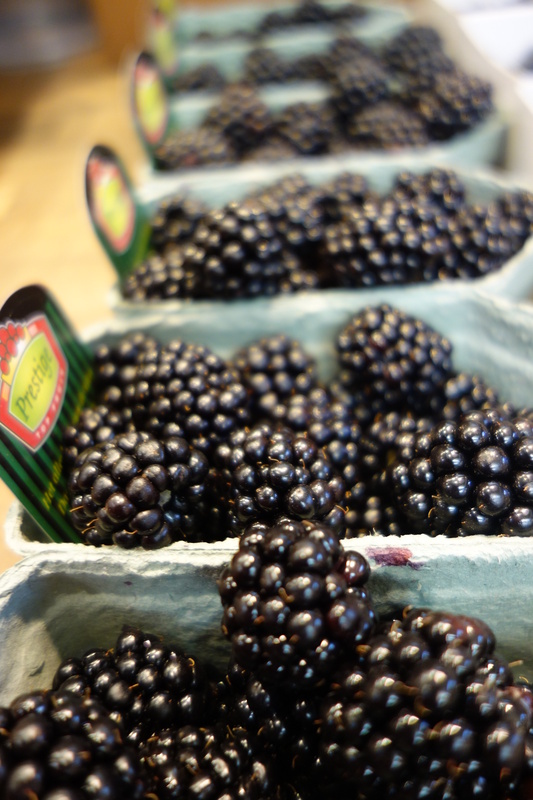 They are seasoned with white pepper or allspice. Swedish meatballs are traditionally served with gravy, mashed potato, lingonberry jam and fresh pickled cucumber. Oh…and beer.. I know what you are saying, “where’s the cheese?”. Oh people, there is cheese. 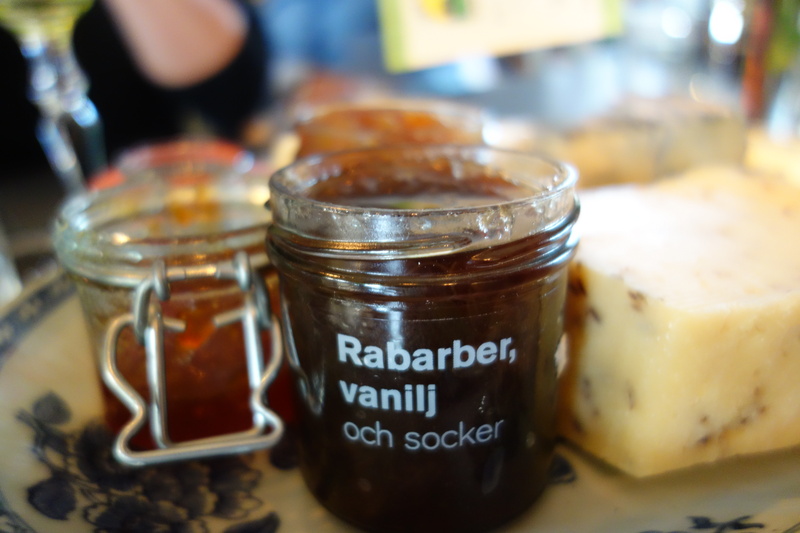 Cheese is the focus of many Swedish dishes and entertaining and the country has several offerings in this department. 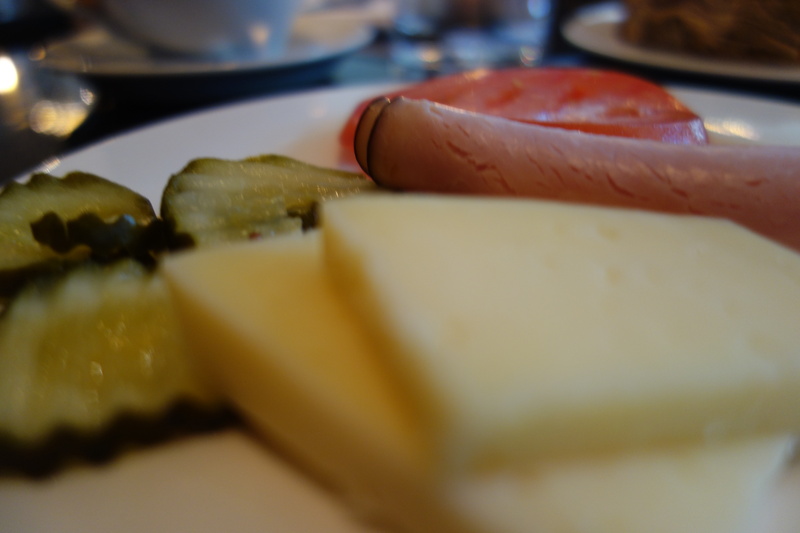 Like many European countries, cheese is a part of breakfast (as is coffee, the Swedes do love their caffeine!). Herrgårdsost (Manorhouse cheese) is a semi-hard Swedish cheese made from cow’s milk. 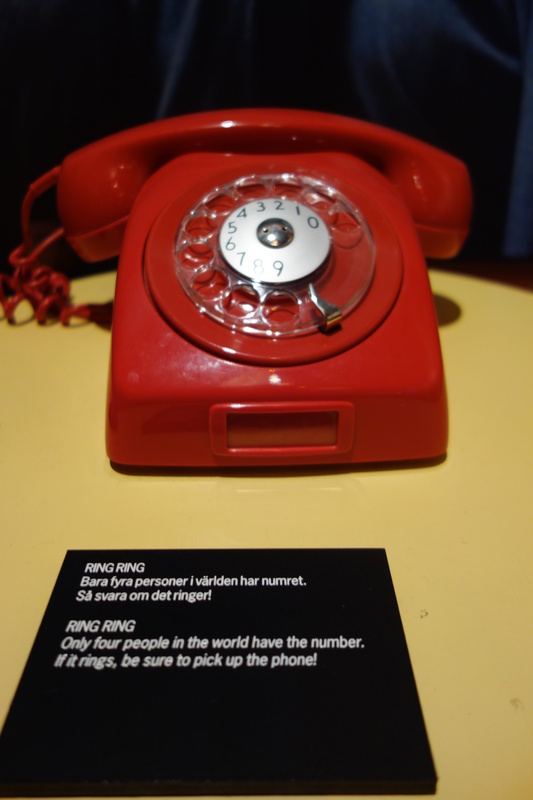 Made since the 1890s, it is still popular in Sweden today. The aged cheese has a mild, sweet, nutty flavor and small round holes and is served with bread, Swedish wafer biscuits and other accompaniments. 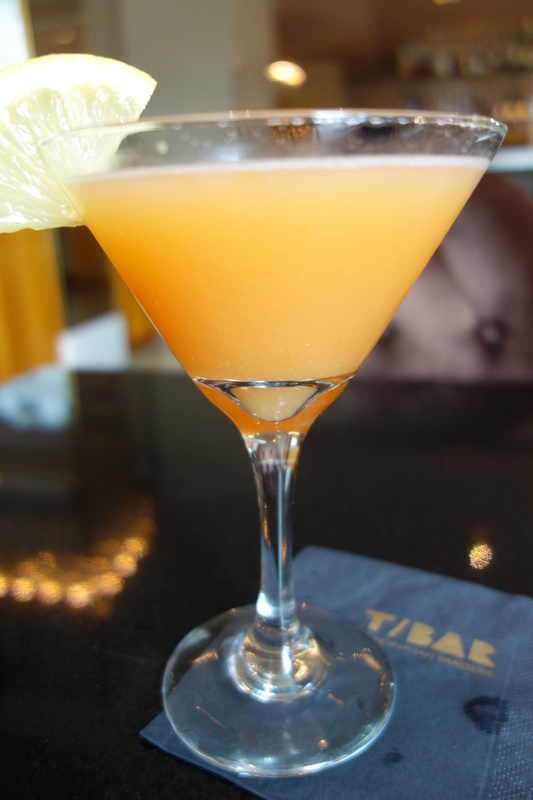 The hotel had a funky little brasserie, which seemed to be popular at all times of the day – T/Bar. 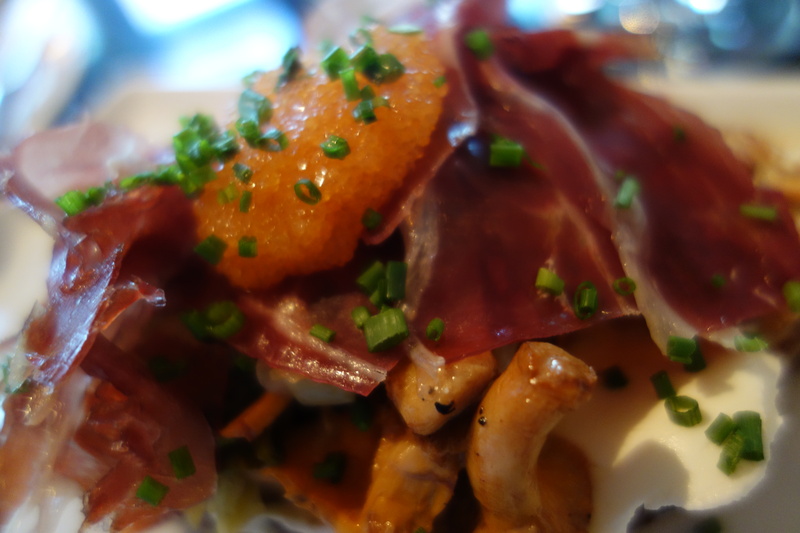 We ate there on my second night, trying the chanterelle mushrooms, a Swedish favorite, served on toast with creme fraiche. I am a sucker for mushrooms, add in cream cheese and I am yours. 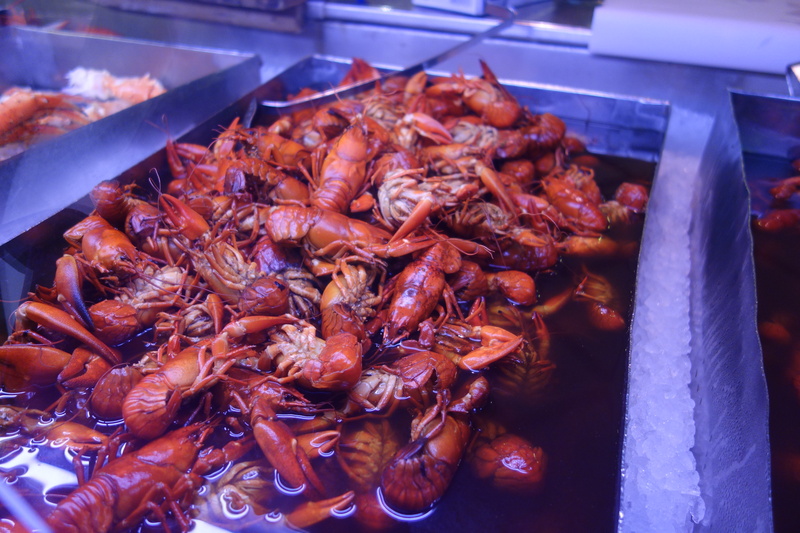 I was also encouraged to try the local crayfish. Cooked with fennel and other herbs, they were salty sweet and necessitated a call to the laundry. It is not a graceful dish. After nearly 10 days on the road, I was happy for a home cooked meal and some schooling in the art of the Swedish way of life, and cheese. My friends Ingemar and Sten invited for a feast of Scandinavian fish, ending with some locally produced cheese. 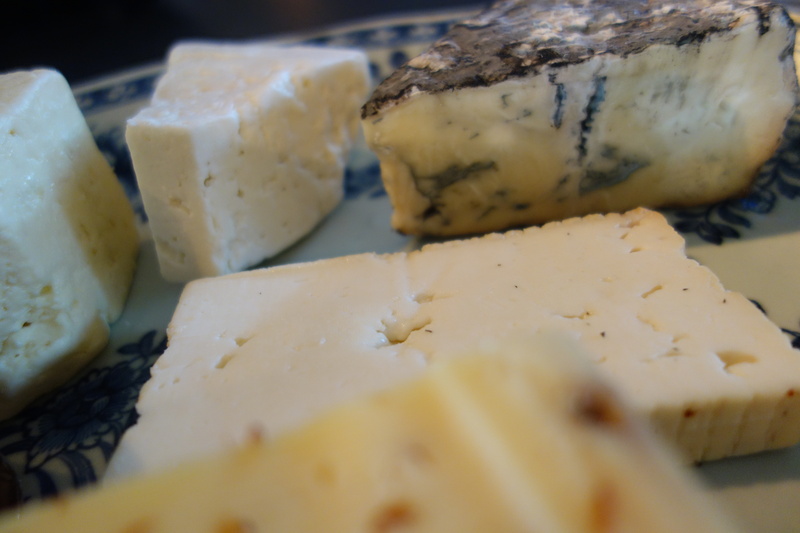 Several of the cheeses came from a shop near Ingemar’s beach house just outside of Stockholm and it included an exquisite blue cheese and a goat’s cheese. 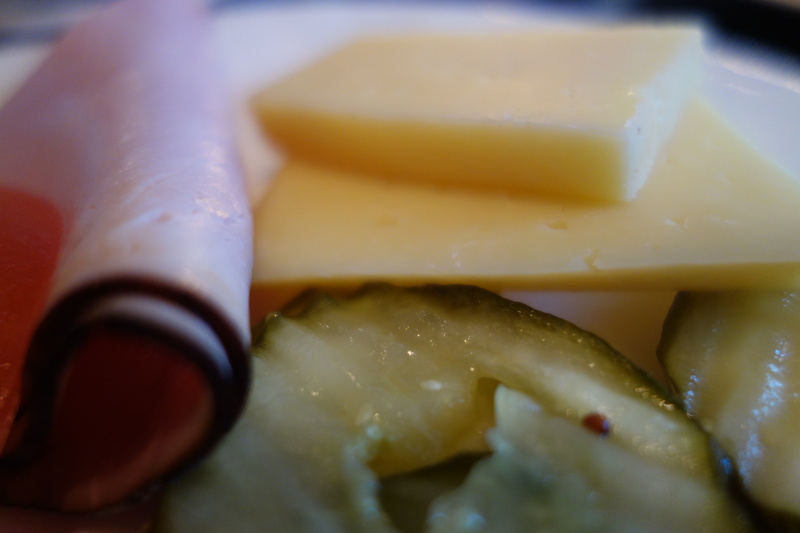 Others included a Prästost (“priest cheese”) is a Swedish cheese with historical roots in Sweden’s one-time custom of paying tithes with agricultural goods including milk. It was common for the church to make cheese from this milk from the 16th though 19th centuries. 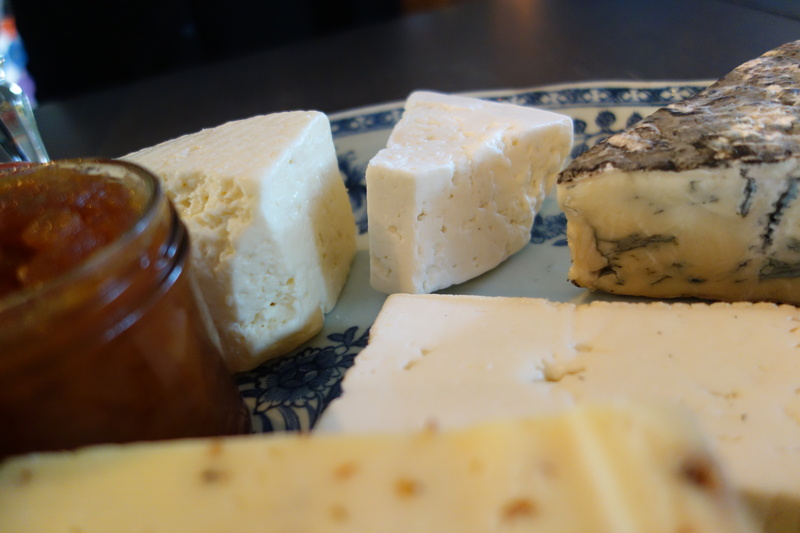 Today, this style of cheese once produced in churches across Sweden is factory-made from pasteurized cow’s milk. Prästost is sometimes soaked or cured in whisky or other spirits. The most famous Swedish cheese is Vasterbotten – a hard cow’s milk cheese having tiny holes and granular texture. After heating, it is cut and stirred at the time of molding and aging. It has strong flavor and tastes salty and bitter. It is considered the king of all cheeses and is in great demand but is twice as expensive as many other cheese varieties. 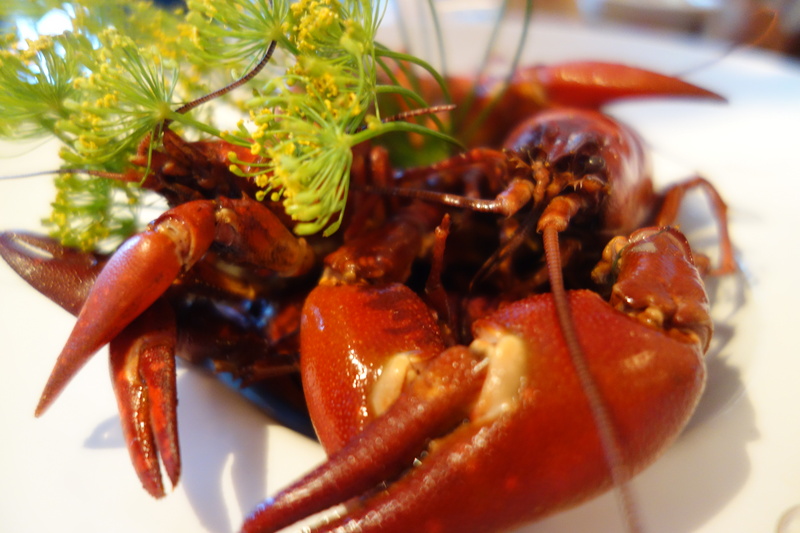 Stockholm is a city that loves its food and I was very fortunate to see this first hand. I am amazed but the beauty of this article, the text the layout and pics. Just WOW, and yes I love ABBA too! Well done! Thanks so much Walter and so glad you are keeping up to date with it! What a beautiful post! I read every word, and feasted on the photos. One of my not-guilty pleasures is rewatching Mama Mia.